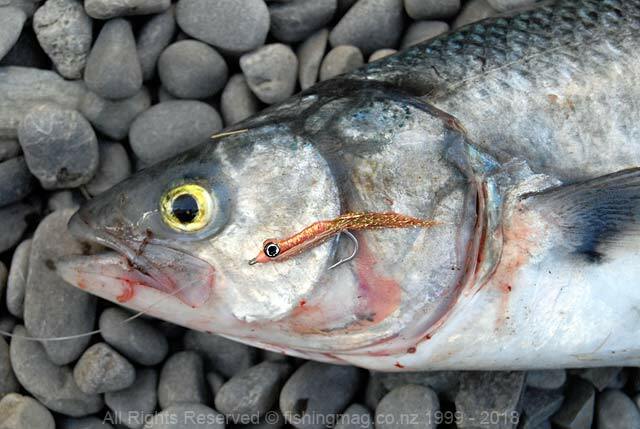 This kahawai has readily taken a simple shrimp fly. 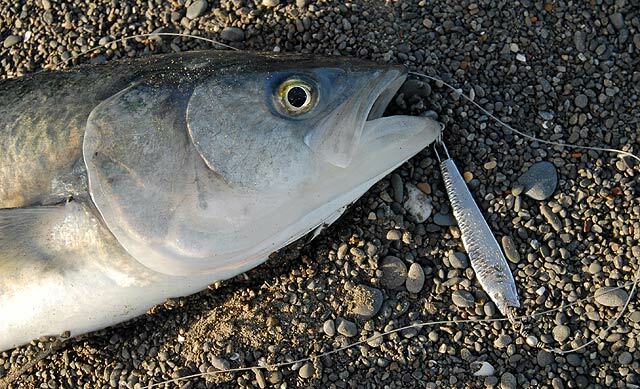 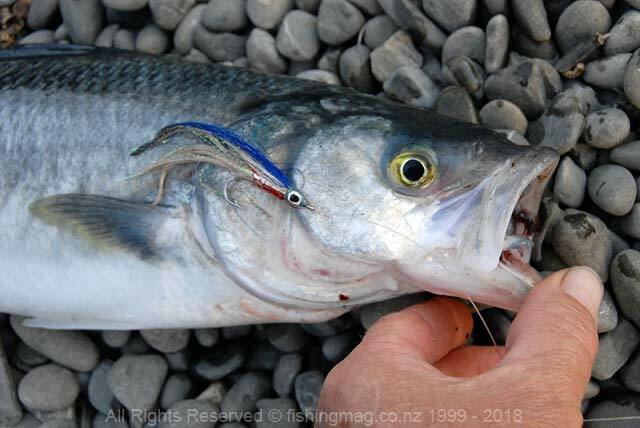 The weighted eyes help it sink on a floating line at river mouths. 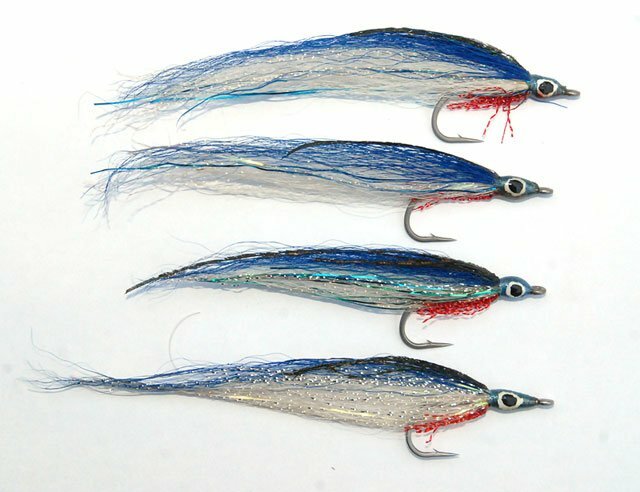 The eyes make the fly swim barb up.